When a crop blight causes the nitrogen levels in the earth’s atmosphere to rise the future of life on earth is threatened. People will either die of starvation due to the impending scarcity of food, or of suffocation, due to the impending lack of oxygen. When all seems lost, a former astronaut named Cooper uses apparently supernatural data found by his teenage daughter Murph to discover NASA’s secret headquarters. Once there, he is enrolled in a mission to preserve the future of the human race. He must leave Earth – and his children – behind in order to take a many-year journey through a wormhole to try to discover another inhabitable planet to allow humanity to continue. When Cooper chooses to go on his mission, he realizes that he does not know when he will see his children again. His daughter and son both feel abandoned by him, and it colors their adult lives. Some adoptees may resonate with the anger that Cooper’s children feel towards his absence. A large batch of cryopreserved fertilized eggs accompanies the astronauts on their mission, with the intent that they will be used to populate the new world, while ensuring genetic diversity. Nothing was mentioned as to whether those children would know who their genetic parents were. 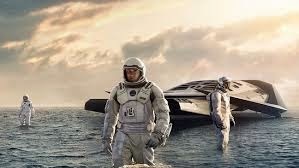 Interstellar is beautifully shot, and creates a large world for the viewer’s imagination to explore. 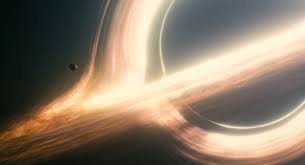 We see the inside of a black hole, a journey through a wormhole, and several beautiful new worlds – one that seems to exist atop frozen clouds, another with an ocean with waves of mountainesque height. The film conveys feelings of adventure, awe, and exploration. The film talks about the power of love, as something that can transcend time and space – and even death – after all, we love people that have passed on. In a way, that reminds me of themes I’ve recently seen in Big Hero 6 and The Book of Life – that our memories of people can keep them alive within our hearts and minds. One character also asserts that it’s the yearning to be with other people which is the very foundation of our humanity. Because Murph is angry at Cooper for choosing to leave, she refuses to tell him goodbye. She does not see him again until she is very elderly, and then their meeting is very brief. The scene where Cooper tries unsuccessfully to make peace with her before leaving may be very difficult for viewers where parental separation is a tender area. Cooper begs her, “Don’t make me leave like this,” but Murph yells, “You have no idea when you’re coming back.” She eventually runs after him, but does so too late, and is unable to say goodbye. Murph experiences her feelings of abandonment very powerfully. She screams that her father “abandoned us, [and] left us here to die.” At one point, Murph’s brother tells her to leave and never come back. Murph’s eventual reunification with Cooper may offer hope; however, Murph’s assertion that she knew she would see him again, because he had made a promise to her might be painful to viewers who have been lied to or let down by the promises of adults in parental or caretaker roles. As in Big Hero 6, a loved character is willing to sacrifice his life in order to save another. It’s noble, but could also be painful for people struggling with grief related to loss of a loved one. Several adults in positions of trust lie to save themselves, to promote their own interests, or to avoid allowing others to face difficult truths. These lies put others in danger. Because of the lens I review film through, this does seem analogous to the reluctance of some adoptive parents to discuss adoption with their children; it might be hard to talk about, but dishonesty is always harmful. 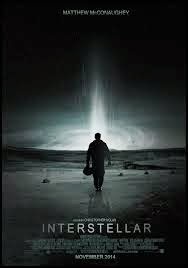 Interstellar is a beautiful, moving, and long (almost 3 hours) exploration of outer space and inner human nature. Its untrustworthy adults, repeated instances of loss and run time make it likely to be a poor choice for kids, but it could be a reflective and hopeful film for teenagers and parents to enjoy together. If you could go back in time to give your kids some guidance, what would you tell them? What if you could do the same for your parents? Why did the professor lie? What would have happened had he told the truth? One character says that people care “deeply about those we know” but not about those who lie beyond our line of sight. What do you think? One character asks what the use is of loving those who have died. What do you think? One character says, “I’m not much for pretending we’re back where we started; I want to know where we are and where we’re going.” What do you think – what’s the value of remembering the past? How do we find a healthy balance between remembering and honoring the past (rather than ignoring it), and living in the present?